HUGE: UPCOMING BIGGIE'S CLIMAX DETAILS LEAKED! It is a known fact that Salman Khan is currently working on his upcoming film Bharat, that has Katrina Kaif as the female lead, while Disha Patani, Tabu, Shashank Arora and others play crucial supporting roles. 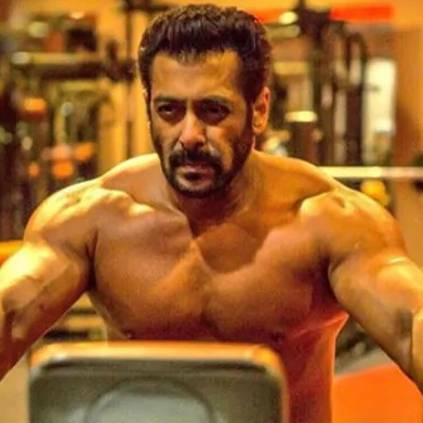 The film is directed by Ali Abbas Zafar, jointly produced by Atul Agnihotri, Alvira Khan Agnihotri, Bhushan Kumar, Krishan Kumar, Nikhil Namit and Salman Khan. The film's shoot has been progressing at a rapid pace, and now, an important detail about the climax has leaked. The film's climax, according to reports, require Salman Khan and Katrina Kaif to demolish a 10-crore rupees worth set that has been erected at the Mumbai Film City. The duo will also shoot for a day long scene with Jackie Shroff, Tabu, Sunil Grover where it will be shown that the actors are re-uniting. On the technical front, Marcin Laskawiec is handling the cinematography and Vishal - Shekhar are composing the songs. However, the background score will be scored by Julius Packiam. It must be noted that this is an official adaptation of the 2014 South Korean film Ode to My Father. Bharat is slated to hit the screens on 5th June 2019, on occasion of Eid. People looking for online information on Ali Abbas Zafar, Bharat, Climax, Disha Patani, Katrina Kaif, Salman Khan will find this news story useful.